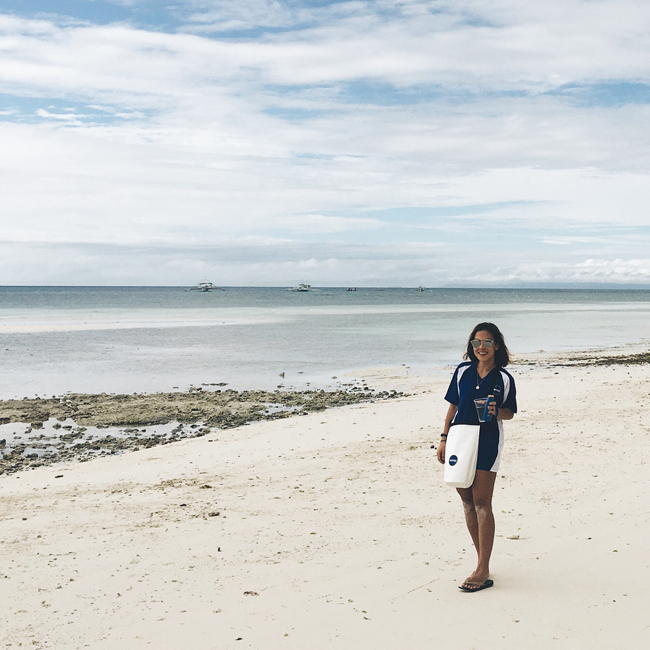 Wow, what an intro but seriously, we didn't have to jump into the water/brace ourselves or anything like that but we did have to emergency land in Mactan before heading to Tagbilaran because of poor visibility. After landing in Cebu, our too honest pilot had to mention that we almost missed that runway too. WOW. 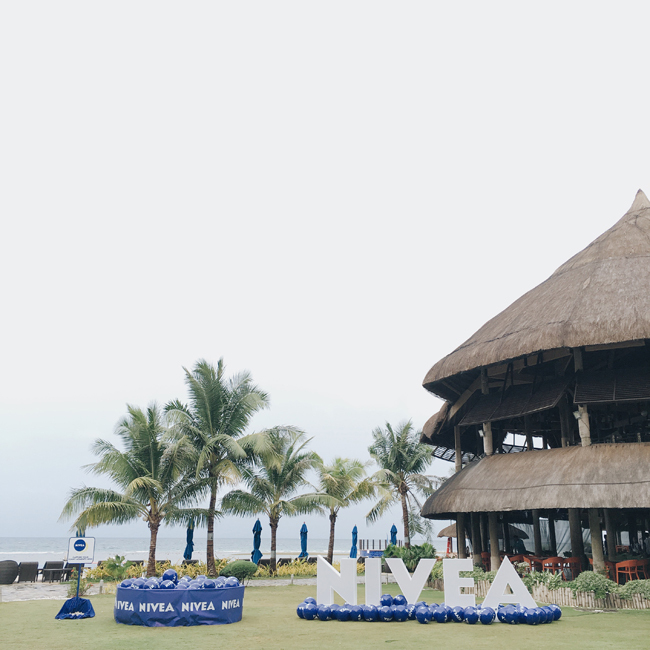 But anyway, after almost half a day in the plane instead of just 1 hour 15, we finally landed in Bohol for Nivea's Summer Kick Off 2016! 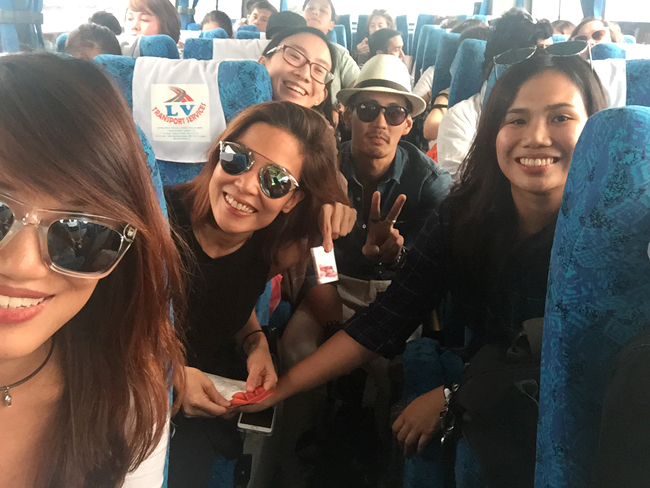 Why go through all the trouble of flying a hundred bloggers/media and personalities all the way to Bohol just for an event. Immersion. That's what I think. And maybe thanksgiving? Haha. But you know, these things work. Skincare is a pretty technical subject. Can you tell me the science behind your product and why you continue to use it? Probably not, cause I can't either for 80% of the stuff I use. That's where these blog trips come in, so I can help you make conscious AND smart decisions. Looking back, I think these trips are more "conferences/seminars" sprinkled with festivities on top to make it look otherwise. Not saying I don't enjoy them though. They're SUPER tiring but equally fun. 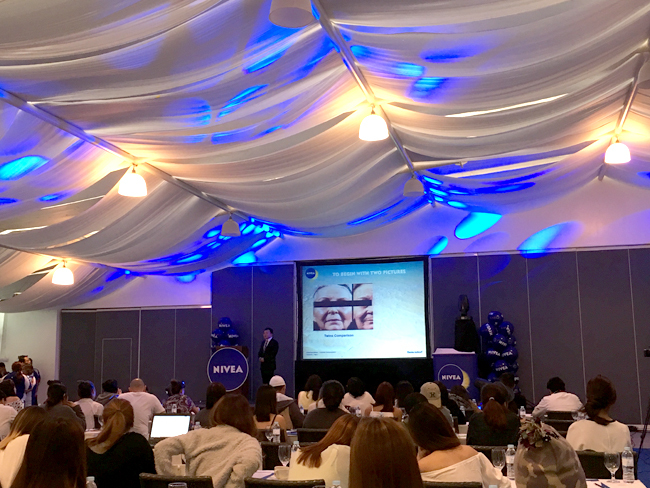 Right after lunch we were taken to the Pavilion for briefing and Q&A's with NIVEA SUN's research and development representative. Higher SPF doesn't mean better protection. In fact the highest recommended by the FDA is 50SPF. Cloudy days don't require SPF protection. Sunscreen blocks Vitamin D. You don't need prolonged hours under the sun to get your Vit D fix. Accidental sun exposure can get it done. Chemicals in Sun Screen do more harm than good. (I cross-checked this just to be safe but it's true). No conclusive tests to suggest that sunblock cause cancer. Dark skin can skip sunscreen. NO. Most sunscreens only protect against UVB rays (burning rays) and not UVA (ageing rays). The amount of sunscreen you use doesn't matter. It does, you need a jigger full for even protection. 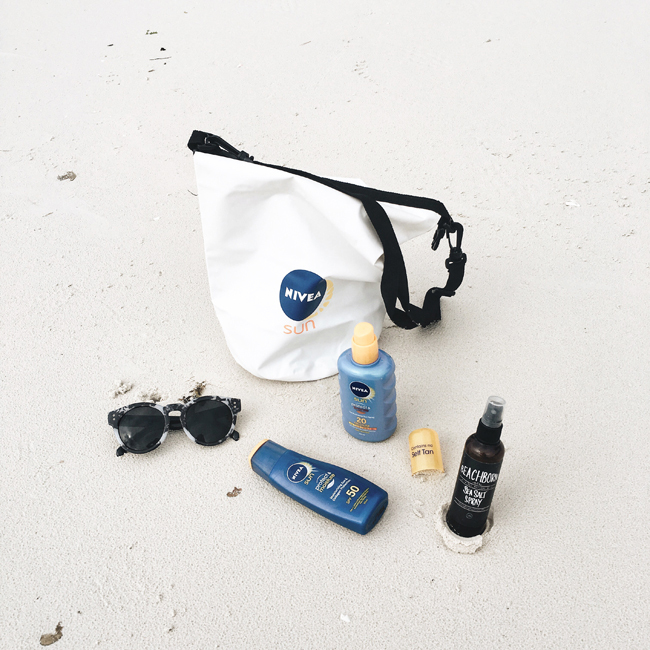 Waterproof Sunscreen provides "all-day protection". Not true. Some are hardier than others but still won't last all day. 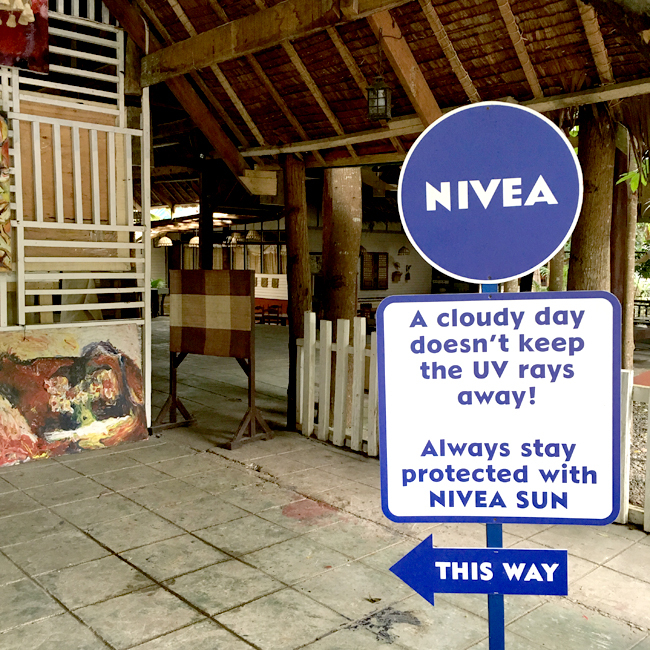 These points were further dissected via a series of demonstrations which pitted Nivea against other popular sunblock brands. But NIVEA far outperformed the other brands. It sticks better to your skin and blocks the sun's UVA AND UVB rays 80% more. 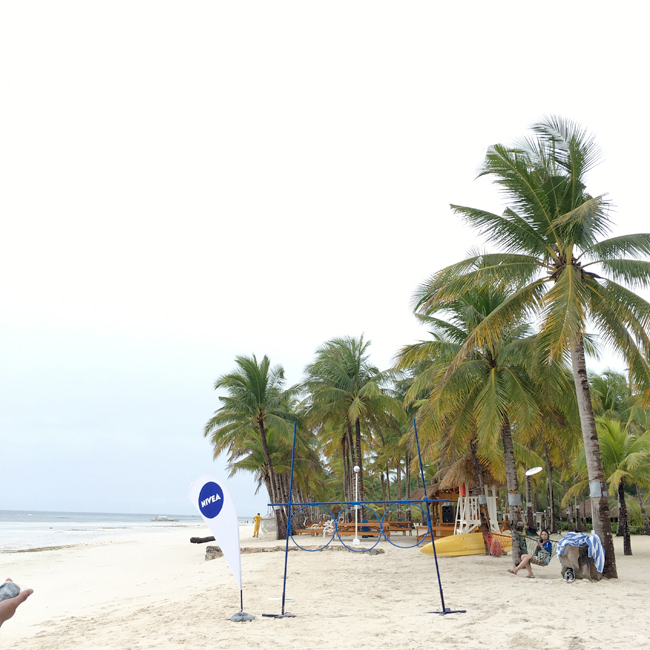 Time to put Nivea Sun to the test with a series of water and beachside activities held at Bohol Beach Club. 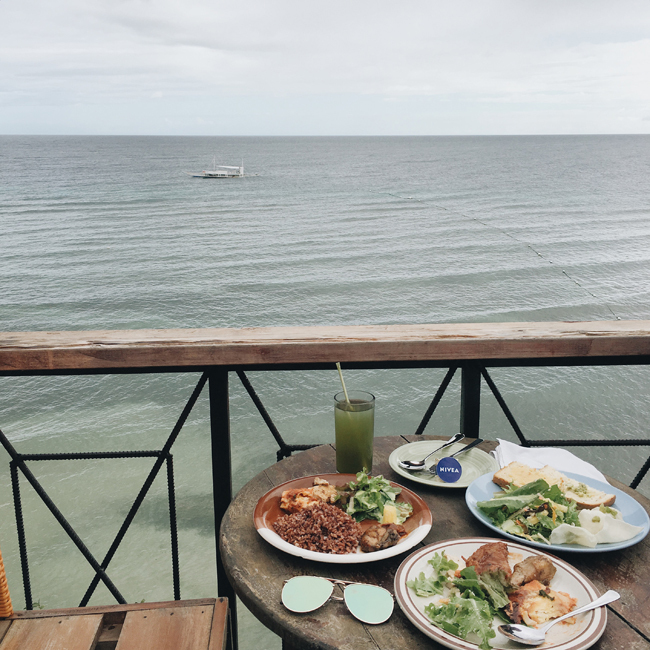 Since we finished ahead of schedule, we had free time the rest of the day to finally be able to enjoy the beach and hotel amenities without any structured activities. HOORAY! I chose to spend it sunbathing and chilling with my friends. 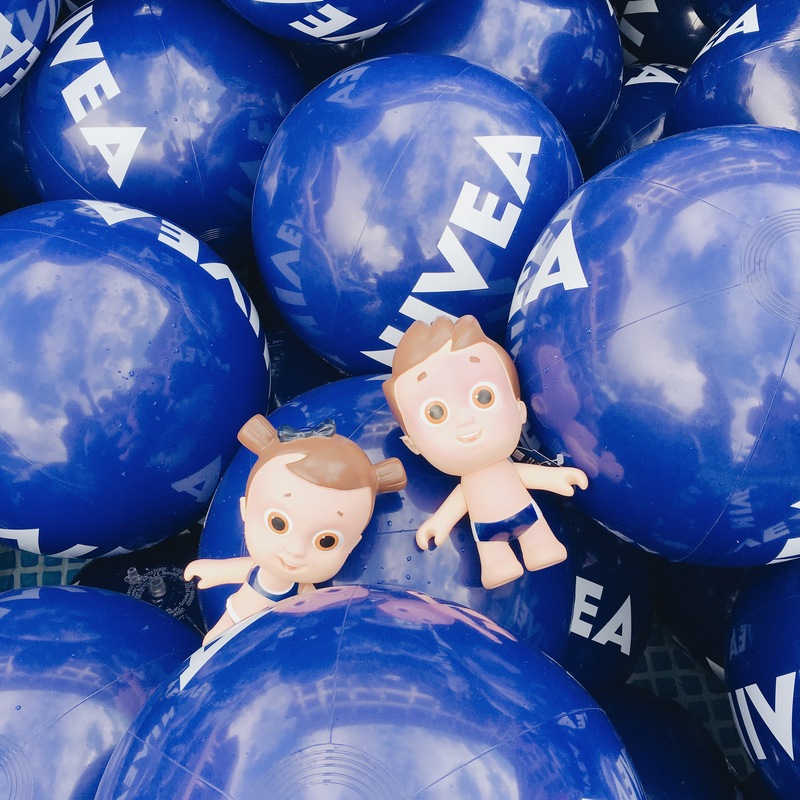 I love baking but I hate sunburn so I kept these NIVEA UV sensitive dolls next to me to remind me to re-apply my sunscreen. Super cute, huh? Watch out for these babies, I hope they make them available to the public soon. Your kids will love it and maybe, just maybe, make it easier for us moms to convince them to apply some sunblock before heading out. I passed mine over to Nikola. It found it's permanent place in front of our window facing the sun. Hahaha. To further block harsh rays form the sun, make sure to wear a swimsuit that provides UV sun protection. So jealous! I'm sure bawing-bawi ang flight experience with the entire event. 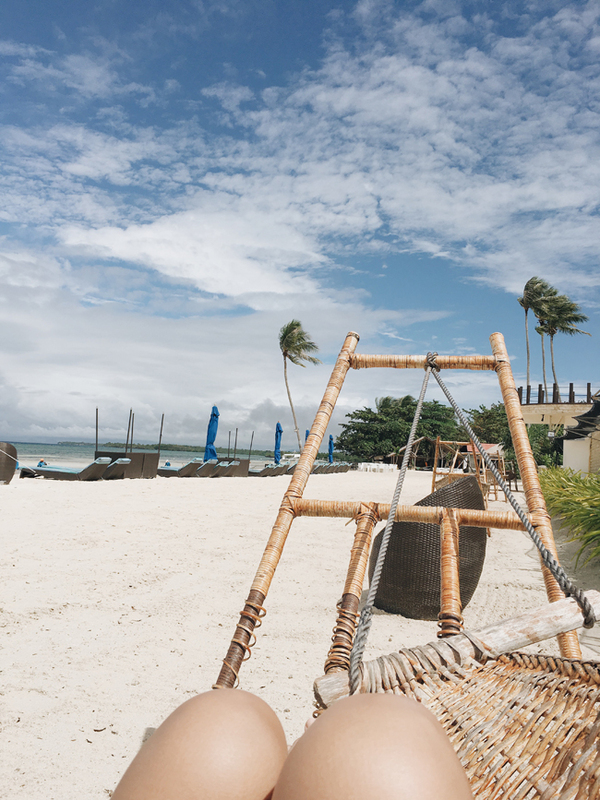 Can't wait to go back to Bohol. Love your swimswear by the way. 100 media people?!? 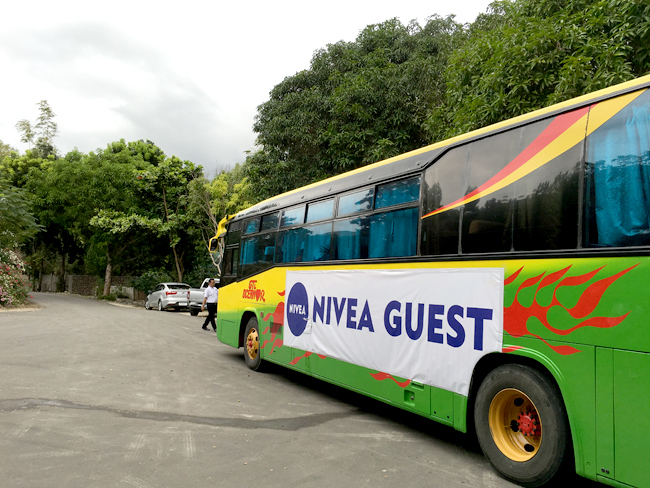 ang bongga ng Nivea! Such a wonderful experience. 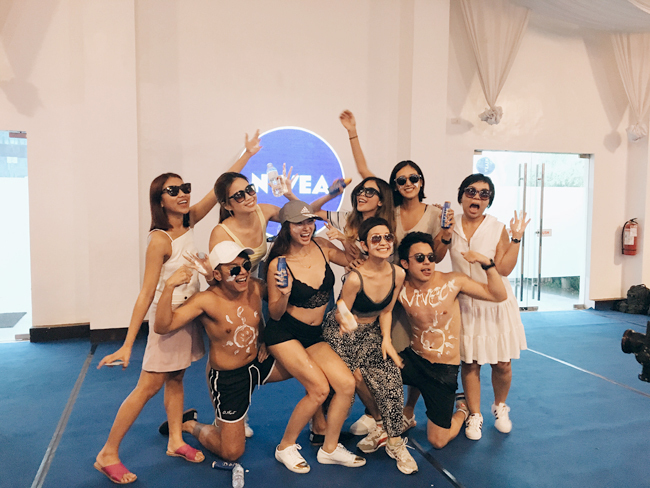 I do love Nivea products. One of the trusted brand I know. What a great experience! Sun protection is really important nowadays especially with climate change and all that. Looks fun! 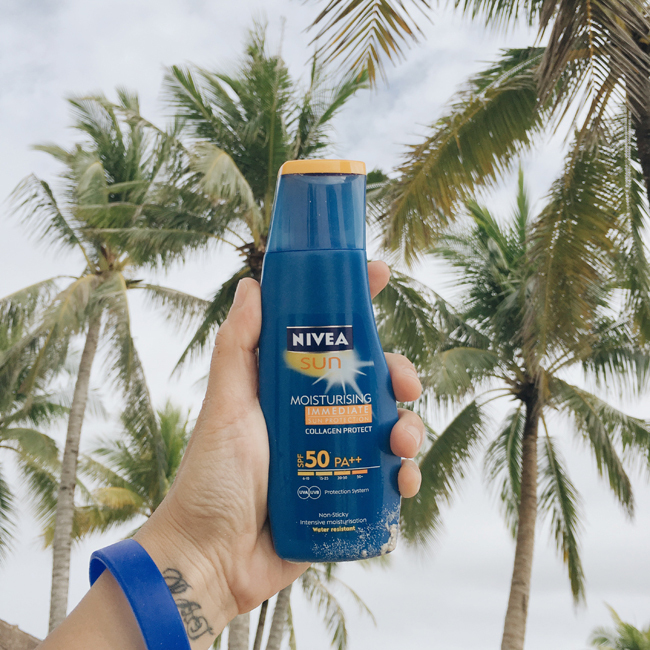 Nivea seems like a reliable go to product this summer. What a fun way to introduce a product. Enjoyed looking into the pictures. Ihihi. Watched this fun event in Youtube (from Say) and ang galing nung doll ha namula talaga hehe. Love your swimsuit! Whew! I learned a lot from this entry! Nice layout by the way. It seems everyone is updating their blog this year... yey!